I’m not usually one to take humanitarian advice from celebrities. Not only am I so out of touch with TV as to be utterly unfamiliar with most of them, I think that, for most of them, charity is like make-up: just something superficial to make them look good. But last night at the Emmys, George Clooney said something about the way we help that really stuck in my mind. I’m sure that this is the way it will go with the recent floods in Pakistan. Right now, the entire world is zeroed-in on what’s happening in Pakistan, and rightly so. The flooding has been absolutely catastrophic; one report from the BBC said that the hardest-hit regions looked like an “inland sea.” Meanwhile, the aid is pouring in from all sides. Even the Taliban is donating. But when Pakistan isn’t front page news anymore, how many people will still want to help? 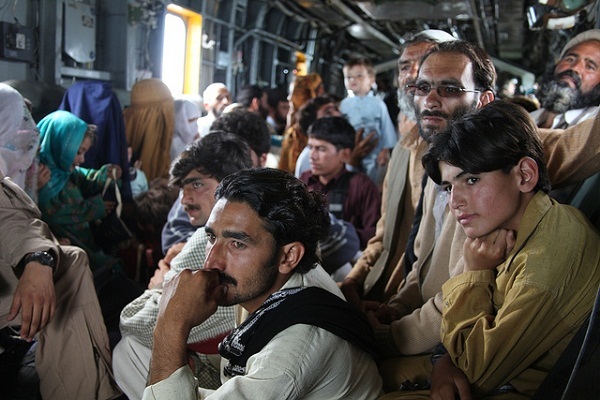 A senior official at the Red Cross has said that rebuilding Pakistan could take five years. That’s about how long it’s been since Katrina hit New Orleans, and most Americans haven’t thought about that for ages. Unfortunately, forgetting about Pakistan, a country that most Americans have no contact with, will probably be even easier. One group of foreigners who will be seeing the destruction for years to come is mountaineers. Pakistan has one of the greatest concentrations of high mountains in the world: 5 of the world’s 14 eight-thousanders lie partially or completely in the country. At a time when most travelers have curtailed their trips to Pakistan because of safety concerns, climbers have kept coming. Now, climbers have a chance to give back. In a post last Friday, ExplorersWeb detailed some of the fantastic initiatives that different mountaineers and groups are sponsoring. Gerfried Goschl, a mountaineer who traveled to Pakistan as an aid worker after the earthquake in 2005, said that he planned on conducting lectures around Austria to raise money for the relief efforts. 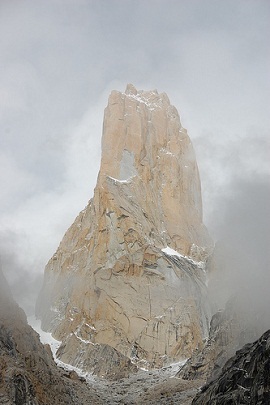 Canadian climber Louis Rousseau plans on putting together a similar event in his country. Field Touring Alpine has also been publishing great on-the-ground updates from their climbing teams, who recently wrapped up an expedition to K2. In one entry, the group noted that rebuilding is likely to be a long process. “No doubt in 2011 we will return to a country which looks quite different and will still be in the recovery from one of the largest natural disasters it has every experienced,” FTA’s Stuart Remensnyder wrote. We can only hope that the world’s attention hasn’t drifted from Pakistan by then. For climbers and others who want to donate, Matador Change has a great list of agencies assisting in the relief effort in Pakistan. Climbers aren’t the only athletes helping out. Read about how the cricket community is pitching in on Matador Sports.